What better way is there to get over the winter blues, than to have a spring break to look forward to? 24h Poker have got a superb giveaway promotion running right now. Ever fancied pitting your witts against Europe's finest... on a boat! Well, it's a little more than a boat, more ilke a luxury cruise liner. 24h Poker have organised a spring break poker cruise, departing from Sweden, the three day trip lands in Gdansk, Poland. Then turns around again, back to Sweden. What a great chance to see Scandinavia and the ultra cool Poland plus play some great poker tournament on board the ship. 18:00 Welcome drinks in the Panorama bar on deck 10. 00:00 Tournament break day 1. Music party and sit and go will proceed. 23.00 Music party rocks on. The trip includes full cabin and breakfast facilities. 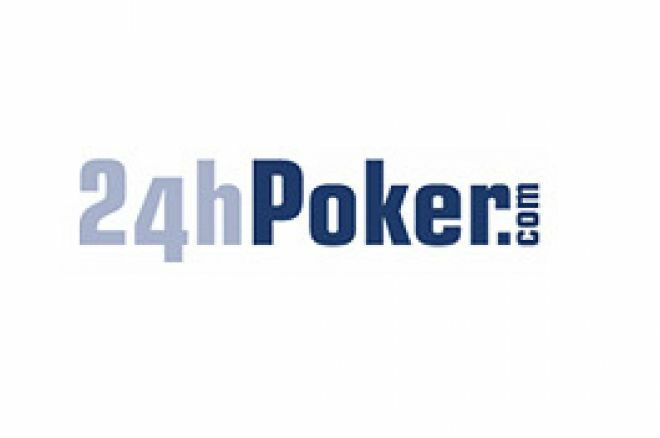 Players will also be given the chance to attend a complimentary dinner from 24h Poker during tournament dinner breaks. To qualify, you'll need to register for the cruise super satellite on March 1st. Buy-in is &euro;250+&euro;50 with a field limited to 126 players and 9 prizes, this is an excellent value tournament. Ed note: Check out our full review of 24h Poker and grab &euro;200 free when you deposit.